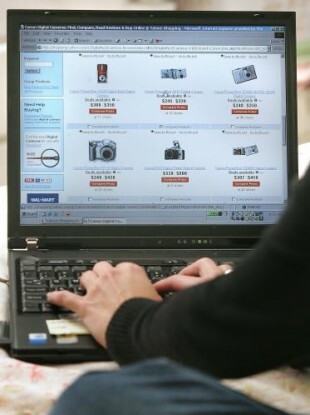 A NEW SURVEY has revealed that more Irish people are likely to shop online than in previous years. Online consultant AMAS has published its quarterly State of the Net bulletin which shows that 43 per cent of Irish consumers bought something online during 2011. This figure is up considerably from the 36 per cent recorded in 2010. Although Ireland is on par with the EU27 average in terms of online consumption, it is way behind the UK where up to 71 per cent of people buy products and services while browsing the Internet. Shoppers in Dublin and the west of Ireland are most likely to purchase online, according to the analysis of eCommerce activity. In 2011, 50 per cent of those living in the capital bought something online, while 48 per cent of consumers in the west did. It is understood that more people are going online in search of a bargain. Others are using it as a research tool before making a purchase. Internet shopping is still more common among younger people, particularly 16 to 29 year olds. However, there is a growing trend among so-called silver surfers to head online instead of the local stores. In 2011, 21 per cent of those aged 60 and 74 said they used the internet every day, compared with 14 per cetn the year before. Online deal sites remain popular with Irish people with 57 per cent of those surveyed registered for at least one such site. Almost half of the Irish adult population say they have a Facebook account, while just 11 per cent have signed up to Twitter. Email “More Irish people now shopping online - survey”. Feedback on “More Irish people now shopping online - survey”.